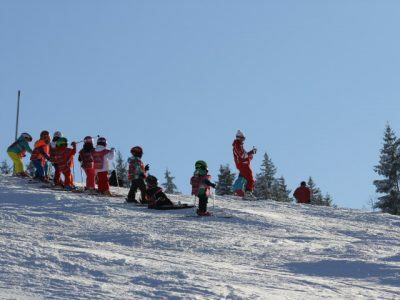 Several companies offer Ski lessons in Les Gets. With wide, open pistes and new chairlifts, Les Gets is a great resort for skiers. 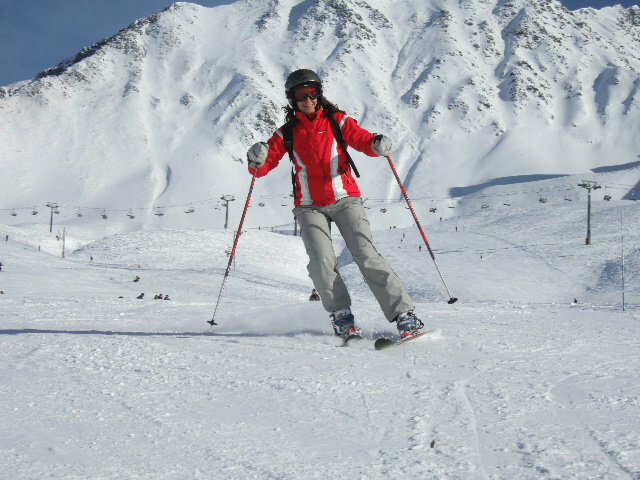 We will arrange for your instructor to meet you in the beginner area and take you through the basics of Skiing. After your lesson you can decide to practise on your own or book further lessons to help you progress. Get ahead before you even reach the real snow. We’ve teamed up with several of the indoor Snow Centres across the UK including SnowFactor (Glasgow), SnoZone (Castleford and Milton Keynes), Chill Factore (Manchester), SnowDome (Tamworth) and The Snow Centre (Hemel Hempstead) to help you experience Skiing, so you are ready to slide down the pistes in style when you arrive in Les Gets. 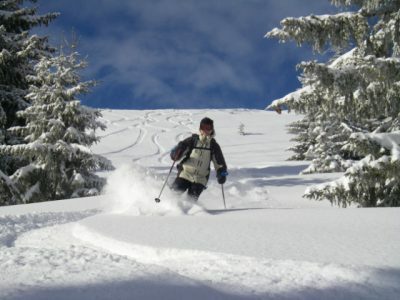 Already skiing but want to progress? 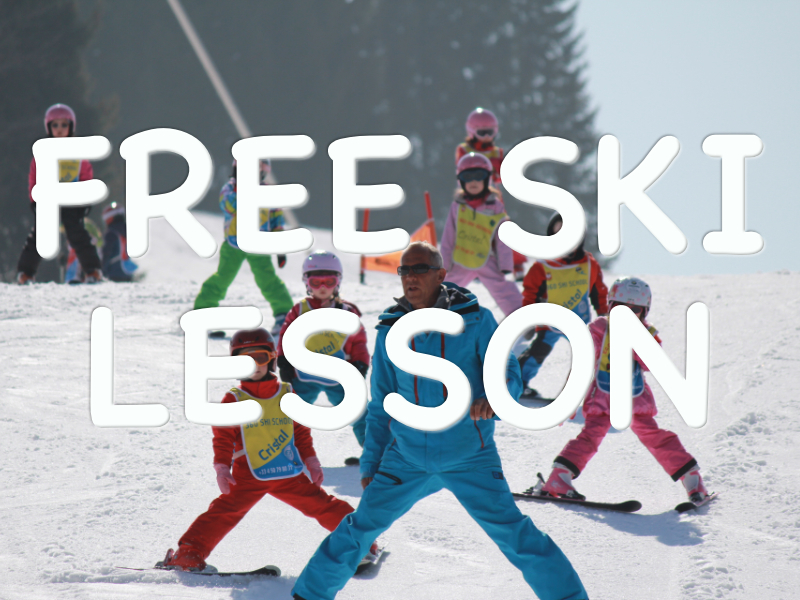 We will arrange a free lesson for you with one of the expert Ski Schools in resort. They will go over your technique and help you improve your style, plus teach you new tricks, take you through one of the snow parks, or even down the half pipe! The lesson can be tailored to your level and your requirements. Terms and conditions apply. These offers are only available on the weeks stated above. 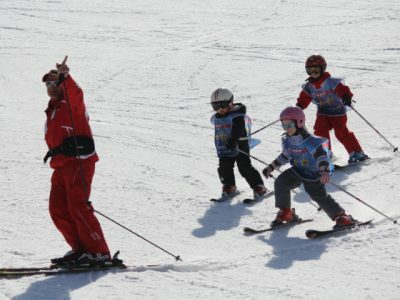 In resort lessons are limited to one instructor per group for up to 2 hours instruction. UK sessions give you entry to a Snow Centre of your choice for one 1 hour session. You will need to notify us which Snow Centre you would like to use so we can confirm availability. 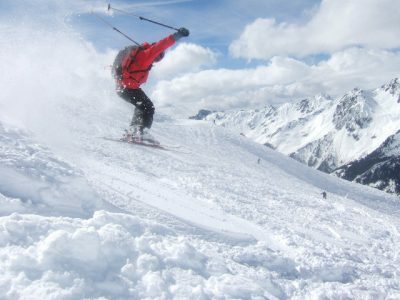 Equipment hire, insurance and lift passes are not included with these offers. Instruction is not included for indoor sessions. This offer can not be used in conjunction with any other offers or discounts and are only valid for bookings made directly with RushAdventures and do not apply to any bookings made through other affiliated sites. All offers are subject to availability and can be changed or withdrawn at any time. Expiry and book by date is 1st October 2017 at 9am.